I just finished up piecing a quilt top for Angela. She needs it quickly for something special that coming up, so it went to the top of my list. It is made from her pattern All Mine (which you can get for free on her website! ), and it is super fast to put together. It probably helped that she had already pieced one block and had the rest cut out for me. It was really interesting sewing a quilt top with fabrics and colors chosen by someone else. 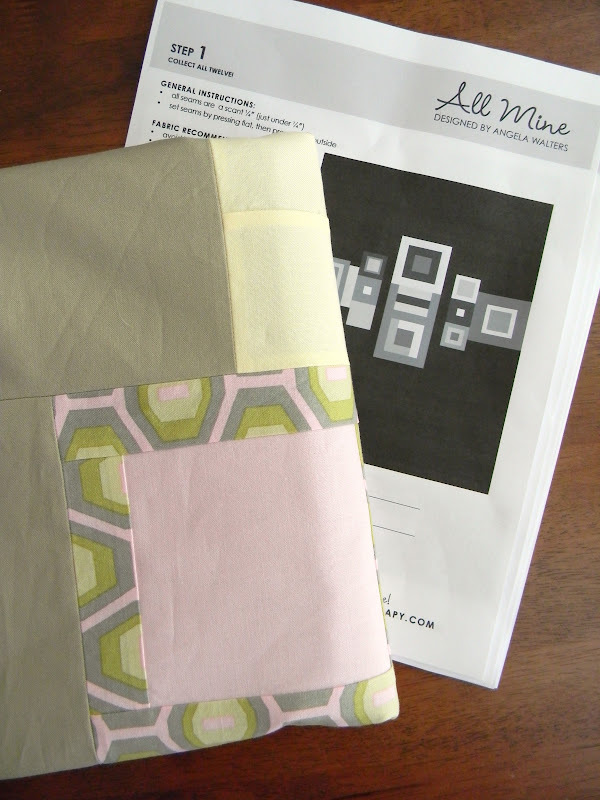 Angela used solids, a few Prince Charming prints, and a Midwest Modern geometric. I adore the solid she picked for the background: Kona stone. It may replace Kona khaki in my heart. 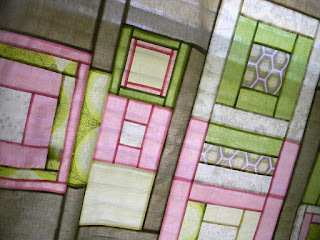 Don't you love to look at backlit quilt tops? oh, it looks gorgeous! Love the colors, too. Beautiful fabrics ~ reminds me of a princess doll house :) Such pretty colors! ooo! very cool, and i DO love looking at backlit quilt tops!